POLICE have denied there was a delay in officers boarding a grounded Malaysia Airlines flight that faced a bomb threat on Wednesday night, and acknowledged passengers were left frustrated in the 90 minutes it took authorities to take control of the situation. Victoria Police Chief Commissioner Graham Ashton was grilled over the wait at a press conference in Melbourne on Thursday. Police were also questioned over whether the man, who boarded the flight after being released from psychiatric care on Wednesday, should have been detected as posing a possible threat. 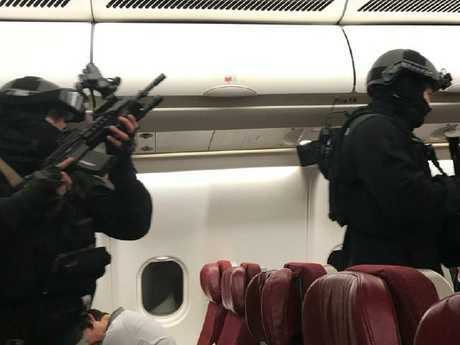 Authorities have faced criticism over what passengers described as an agonising hour and a half wait for police assistance after the Kuala Lumpur flight made its emergency landing at Melbourne's Tullamarine Airport. One man on board said passengers were "s****ing themselves" as a man who had tried to storm the cockpit lay in an aisle clinging to a device he claimed to be a bomb while being restrained by passengers during the delay. Mr Ashton he was satisfied the response to the incident was acceptable. Officers stationed at the airport started to assess the situation as soon as they were notified, he said, adding the response was initially treated as a counter-terrorism operation. Mr Ashton said police had to consider comments by the offender around blowing up the plane, and the possibility of a second offender and multiple explosive devices. "Decisions had been made about what was the safest way to get passengers off the plane, and essentially that did occur, and all passengers were safely removed from the plane," he said. "There's been some commentary this morning I saw about the time it took to get passengers of the plane. "Once we were satisfied we were dealing with one offender and device that was looking increasingly unlikely to be an explosive device, the decision was made to get the passengers off, and that was done." Mr Ashton said he understood passengers would have grown frustrated throughout what he conceded was a 90-minute lead-up to officers boarding the aircraft. "I understand if you are on a plane in that situation, it could seem like a long wait, in particular with a lot of unknowns," he said. "In some of those circumstances, if we had an incident where there were further explosives that were triggered, we could have had a mass casualty incident. There were 337 passengers on that plane, plus crew, and we could have had a very serious incident. "That was avoided through having a proper approach to getting the passengers off. There were delays in terms of having the passengers on the plane for a period of time." The commissioner said there were no delays caused by inaction or by "some stuff-up in any systems", and claimed if the incident had happened in Europe or the United States, "they would probably be still on the plane now". Police have identified the man who allegedly threatened to blow up the plane as a 25-year-old Sri-Lankan national, living in Dandenong on a student Visa. He had been under psychiatric care from the Monash Medical Centre and was on Wednesday, police said. Following his release, police understand the man bought a plane ticket while he was still at the facility and made his way to the airport to board the Malaysia Airlines Flight. The Commissioner said the man was last night assessed to be fit for interview on psychological grounds, and is being interviewed today. Mr Ashton said he expected he would be taken to a magistrates court later on Thursday. "He is being interviewed in relation to Commonwealth offences, so at this stage an interview is being done by the Federal Police and Victorian Police officers," he said. "He has been interviewed in relation to section 22 of the Crimes and Aviation Act dealing with threats and false claims and section 24 of the Crimes Aviation Acts, endangering safety of aircraft, both of those offences, and threats and false statements. "Both carry a maximum of 10 years in prison, so a serious offence." Police have also released more detail about the device the man was carrying. Mr Ashton said the black object, which the man carried in a plastic bag, was a portable speaker which was "a bit bigger than an iPhone". "It looks like a slightly larger version of an iPhone that you set up as one of these Bluetooth type speaker, but it has the chords that allow you to plug it into some sort of phone or device to play music on," he said. Former Melbourne AFL player Andrew Leoncelli was one of six or seven passengers who tackled the man, who held a large black metallic device, before the flight was turned around. "We sat there for an extremely long time. Everyone on the plane was highly agitated, not knowing what this thing was," he told ABC radio. Speaking with Melbourne radio station 3AW, he added: "Everyone was s****ing themselves." Another passenger who assisted said passengers had to wait at least 90 minutes. The witness, identified as Arif, told the Nine Network that as soon as passengers restrained the man, staff took over and passengers were asked to return to their seats. "We got back in the seat, everybody had calmed down and settled down so it was very good," he said. "Suddenly the captain announced we are diverting the flight back to Melbourne, we are going to land in Melbourne. One and a half hours we were in the plane after all that." Following the agonising wait, heavily armed police stormed the plane and removed the man, quickly determining the device he had was not an explosive and declared passengers free to disembark. But authorities now face questions over why it took so long. Addressing media at Melbourne Airport, Victoria Police Superintendent Tony Langdon told reporters police had to consider "a number of options" before boarding the aircraft. "The safety of passengers is paramount," he said. 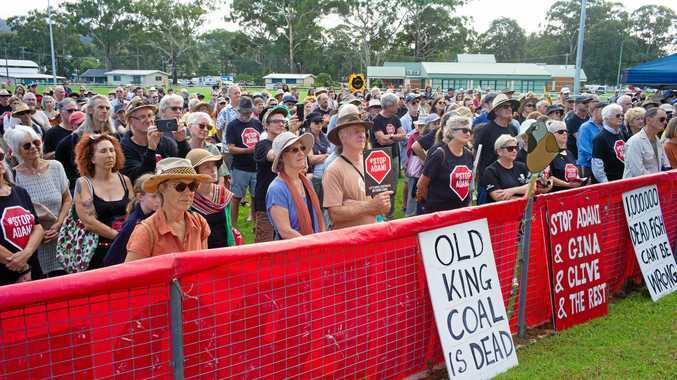 "We need to consider a number of options and Victoria Police was handling that side of things. We needed to make sure that all contingencies were covered and at time we will be slightly delayed in what we need to do." Police said it had to be considered that an aircraft is "quite a complex piece of equipment" and that officers were doing "everything that is humanly possible" to keep passengers and flight staff safe. Mr Langdon would not confirm the amount of time it took for police to enter the aircraft, or what had occupied them in that period, saying he would not discuss "specific operational matters". Passengers have reported the man said he had a bomb and threatened to "blow up the plane" as soon as 10 minutes into the flight. 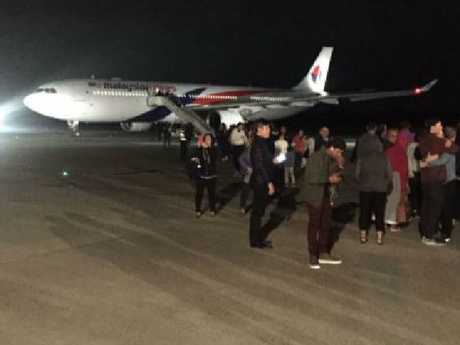 The Malaysia Airlines flight, MH128, departed Tullamarine Airport at 11.11pm Wednesday bound for Kuala Lumpur, and was scheduled to arrive at the Malaysian capital at 5.28am Thursday. It reached 6400 feet (2000 metres) before turning around and making an emergency landing back at Tullamarine at 11.41pm. The man claimed to have a bomb, but according to Malaysia's Deputy Transport Minister Abdul Aziz Kaprawi, the disruptive passenger could not have blown up the plane. "The passenger ... claimed to have a bomb. But it was not a bomb but a powerbank," he told AFP. After assessing the situation, Australian Federal Police officers determined the man did not have an explosive device. Victorian Police Superintendent Tony Langdon told media on Thursday morning the object the man was carrying was not an explosive device, but would not say what it was. "I can't go into specifics at the moment but it was not an explosive device," he said. The wife of a man on board said passengers and crew tied the aggressive passenger down after he attacked an air hostess. "He heard a lot of screaming and (an) air hostess calling out for help as a passenger attacked her," Saiqa Chaudhery told news.com.au via Twitter. "Some other passengers and crew tied the man down and (the) flight landed back at Melbourne Airport 25 minutes after takeoff." Mr Leoncelli told 3AW that he and a small group of fellow passengers leapt into action after hearing the man threaten to blow up the plane about 10 minutes after takeoff. "I could hear this idiot saying that he wanted to go in and see the pilot," he said. "The staff were saying, 'Sit back down, sir, sit back down, sir'. "He goes, 'No, I'm not going to sit back down - I'm going to blow the plane up'. "The staff screamed out, 'I need some help, I need some help'. So I jumped up, undid my buckle, and approached him. "I said, 'Mate, what are you effing doing?' And he said, 'I'm going to blow the f***ing plane up, I'm going to blow the f***ing plane up. And I was going, oh my god, he's f***ing insane. "So, I took a step back. And I said to my friend, 'Mate this guy's serious. We'd better f***ing do something'. "So, I approached him and he ran down the side and then he ended up going down the back of the plane. "And then two lads grabbed him and disarmed him and bashed the crap out of him and put hog ties on him." Mr Leoncelli described the object the man was holding as a watermelon-sized "giant black thing". Others passengers described it as an "electronic frequency" device. "It was huge, it was black and it had two black antennas coming off it, but it also looked like an iPhone jack. So it could have been just a beat box thing," said Mr Leoncelli, who now works in real estate. "I think the guy was just an idiot." to "put him on the floor". He said with staff's help the group "cuffed him and tied his legs" and "put his face on the floor". One passenger wrote on Facebook that the man had issued a "midair terror threat", but police denied the incident was terror-related. "The guy was trying to open (the) cockpit and hijack the plane," Melbourne man Dhana Sekaran posted. "About eight guys, of course including me, jumped and restrained him. "Thank god I am on board to sort this s*** out. Never thought I will be back to Melbourne this quick." Lisa Wood, whose father was on the plane, said a "lunatic" announced that he had "a bomb" about 20 minutes into the flight. "Flight attendants have got fruit cake tied down in between seats," she wrote on Facebook. Airport security will be reviewed after the threat, the federal government indicated on Thursday. Transport Minister Darren Chester said police had advised the incident did not appear to be terror-related, but that it was still important to consider security issues. "By all early accounts, the security parameters worked, but that doesn't change the fact it would have been a very worrying time for the passengers and crew on board," Mr Chester told ABC TV. The 25-year-old Dandenong man, who police have confirmed is an Australian citizen, remains in police custody as officers continue to investigate the incident. Malaysia Airlines confirmed that the "disruptive passenger" tried to enter the cockpit, but stressed "at no point was the aircraft 'hijacked'". Malaysia Airlines has been dogged by security problems in recent years. MH370 disappeared mysteriously on March 8, 2014, with 227 passengers, including six Australians, and 12 crew on board. All are presumed dead and the plane's location has never been found. This inexplicable tragedy was compounded four months later when MH17 was shot down over Ukraine by a missile. Thirty-eight Australians were among the 283 passengers and 12 crew who died on July 17, 2014.